I love hard-cooked eggs. I try to keep some on hand for adding to tossed salads or a quick breakfast. One of my favorite sandwiches is a hard-cooked egg with bacon on toast and of course the right combination of condiments. 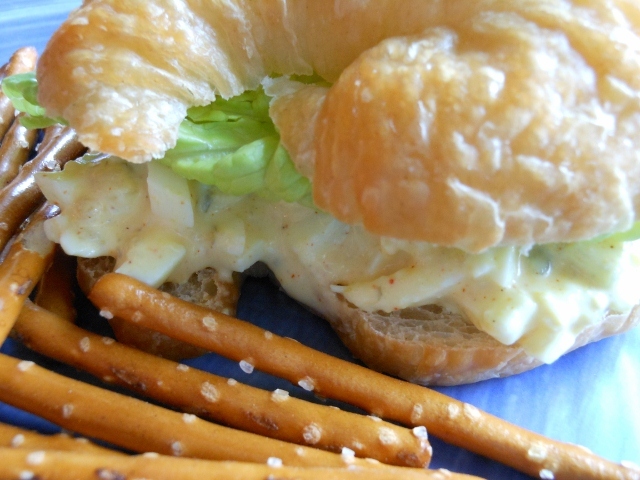 Anyway, today I thought I would make some egg salad. I went with a chunky version, but you could easily mash this up or use a food processor to make everything smooth. 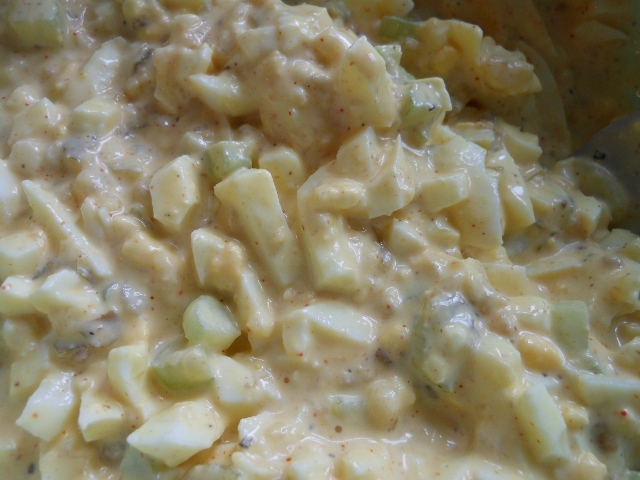 This is a very creamy, wet version so just back off on the mayo and relish if you prefer it to be a bit thicker or add a few more eggs to the dressing listed below. I have seen several different ways to cook eggs. I usually begin with submerging them in cool water to cover. Over medium high heat bring to a light boil. Reduce to a simmer and cook 15 minutes. Immediately add cool water and drain; cover eggs with cool water, changing water as necessary until completely cool. Refrigerate until ready to use. 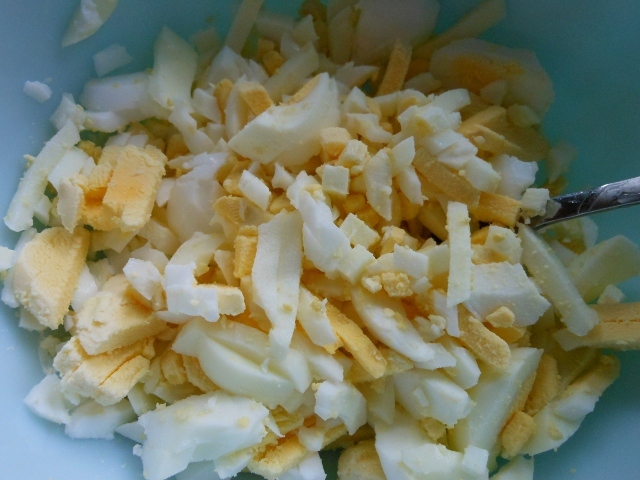 To make the salad ~ Peel and chop hard-cooked eggs. Add remaining ingredients and stir. Chill until ready to serve. 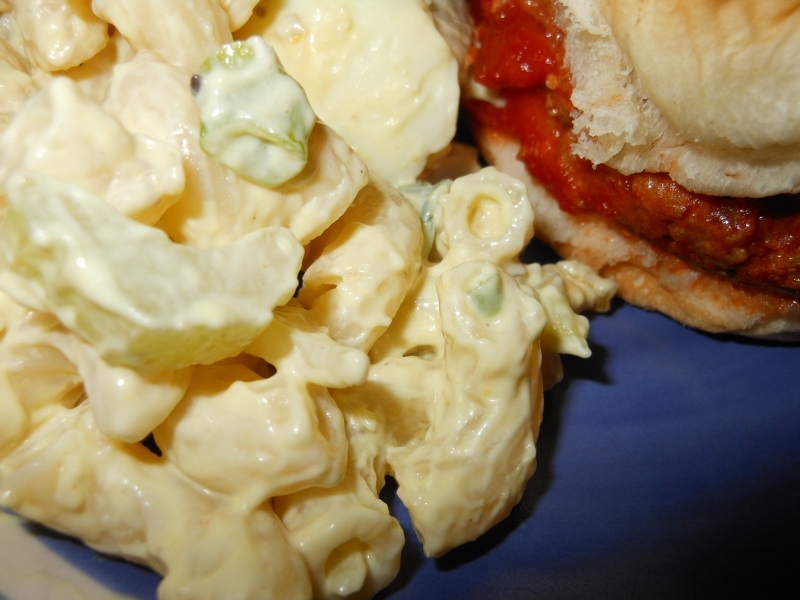 Just a quick post today for a simple macaroni salad. 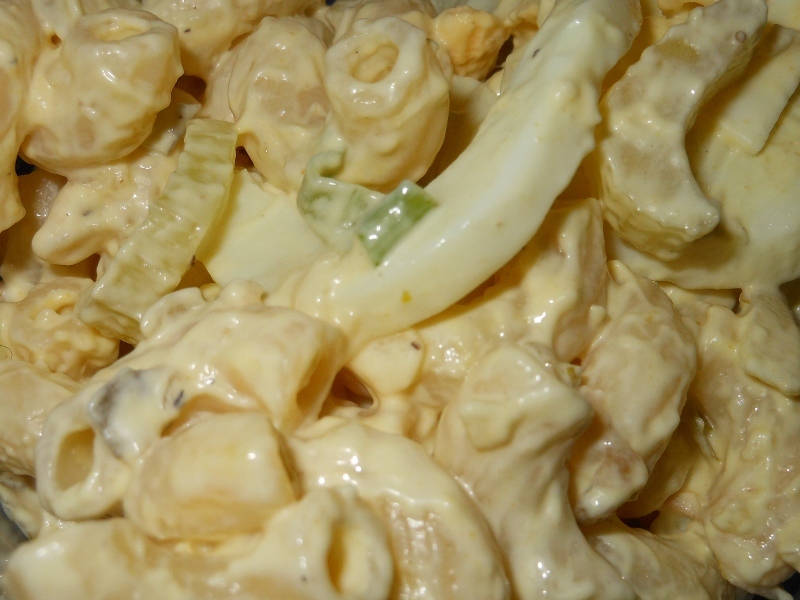 I think this would be considered american style macaroni salad. 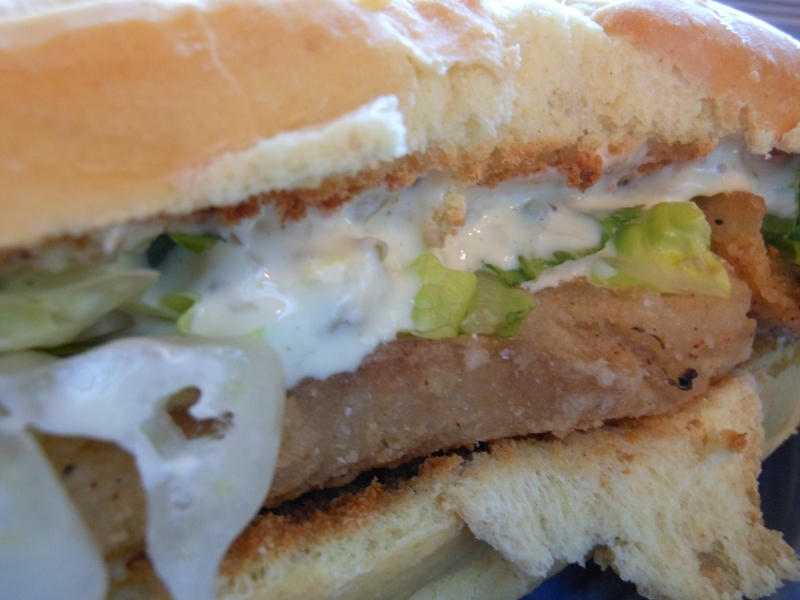 It’s just a simple mayo, pickle relish, and mustard version. You’ll notice I leave the eggs out until the very end. I like to slice them and fold them in to keep the pieces large, but feel free to dice the eggs if you prefer. Cook macaroni according to package. Drain, rinse and chill. Mix remaining ingredients except eggs; add macaroni and stir well. Check flavors; add more salt and pepper if desired. Fold in hard-cooked eggs and serve. Just a quick post today I’ve got a very busy day at work ahead and thought I would get my post up before the exhaustion hits me tonight! 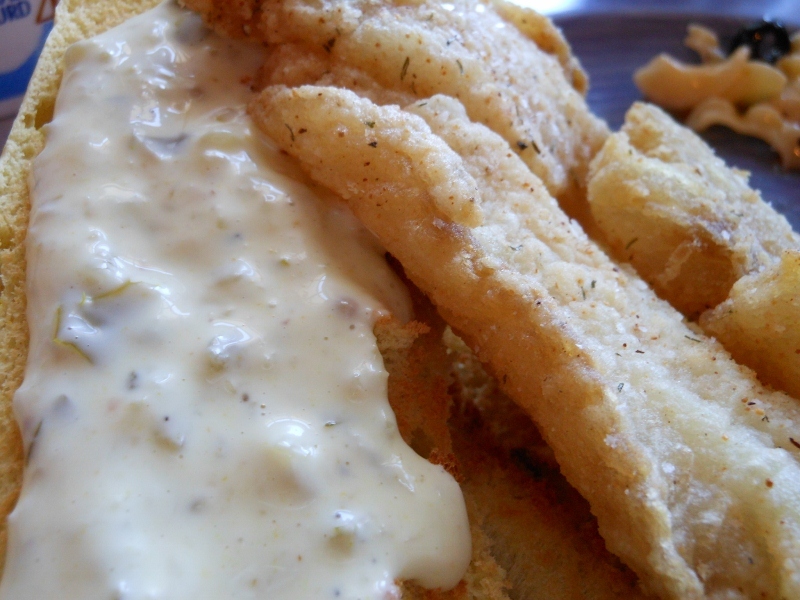 I mentioned this tartar sauce yesterday in my fish sandwich post. 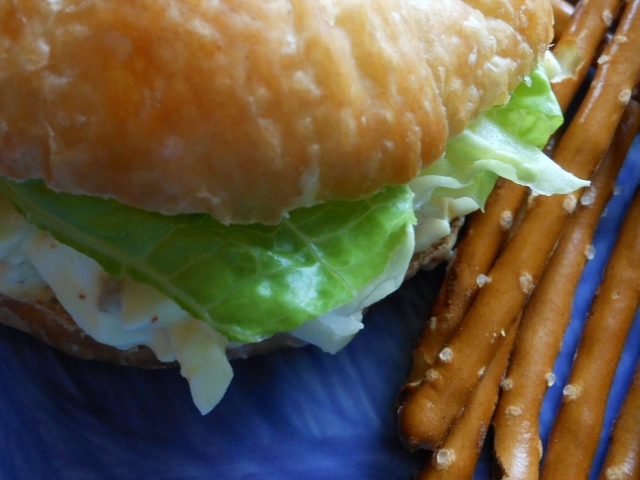 I liked the little bit of a kick from the horseradish and the lime added just the right flavor. I use a homemade pickle relish that we preserved last season but any sweet relish or your favorite kind will work great. Try to work with flavors you like for the best results. I sometimes add spices and herbs but I thought I would keep this simple today. Mix together all ingredients and chill until ready to serve.